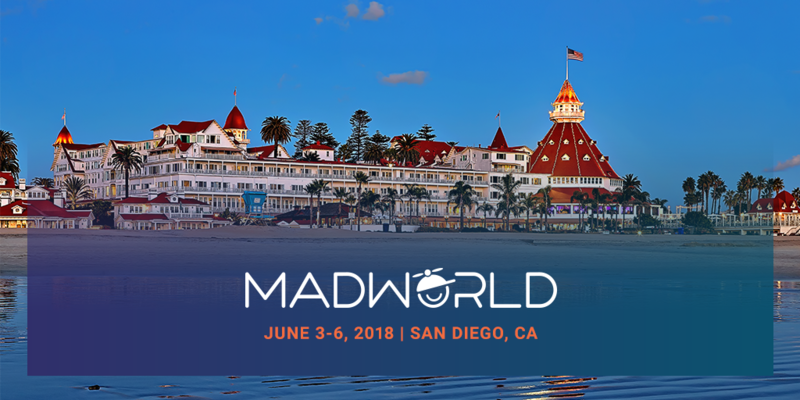 In just a couple of weeks, technical writers and documentation strategists will gather in San Diego for MadWorld 2018, the premier technical communication and content strategy conference. They’ll be joined by our lineup of speakers, ready to deliver their deep knowledge on MadCap Flare, CSS, source control, and more to the iconic Hotel del Coronado. Our speakers come from a wide range of backgrounds and diverse industries, but what they all share in common is the passion in sharing their experiences with the MadCap community. In our next speaker highlight post, we got the chance to speak to Kearsty Dunlap Schneider, a seasoned Flare user and MadWorld attendee, and why her sessions are valuable for any new user. Kearsty Dunlap Schneider leads a team of technical writers, analyzing, translating and teaching mortgage regulations to employees who don’t speak legalese, and publishing that information to the employee intranet using MadCap Flare. She has been in the mortgage industry for too many years to admit, where she has held a multitude of roles, including training and continuous improvement/development. Kearsty is passionate about creating easy-to-understand tools and processes for people that help them leverage their current technology or skill level. Hi Kearsty! Looking forward to having you speak at MadWorld. Can you give us a short pitch of your upcoming sessions? My sessions at MadWorld provide a basic “getting started guide” designed for users who may be new to MadCap Flare, on a small team, or were contributors in the past and now find themselves as Flare administrators. A list of what to do, in what order to get a project off the ground. How to get a project off the ground in a short period of time (7 hours). In my second session, I will refer back to the 7 hours from part one, while pointing out best practices, demonstrations and “what I wish I had known”. If someone is new to Flare and wondering where to start, or is at the overwhelmed point and find themselves spending too much time on a particular part of their project, these sessions are designed to give them a map of how to get back on track. What were some of the challenges that you faced when you were a new user of Flare, and how did you overcome them? My biggest challenge was that shortly after starting to learn Flare on a large established project, my team became just me. At the same time, I was given a huge project that had little to do with Flare, so I never really had the time to dedicate to learning Flare properly. It was a lot of trial by fire. I overcame those challenges when I broke Flare (as I like to call it). For example, I learned about source control and how it interacts with Flare the day that my Master TOC disappeared. When your project is not publishing and you have to re-build your Master TOC or a portion of your project, the lightbulb went off about how all the different parts of Flare interact. I learned so much from that experience (though I thought I was having a heart attack). The other way that I have overcome my challenges in Flare is that I now have two wonderful teammates whom I trained. Teaching is the best way to learn something well, particularly when your students are patient. I also now collaborate with Flare users on other projects within my organization, and the sharing of our knowledge with one another has been invaluable. What’s the inspiration behind the Keep It Simple System (KISS)? I came to MadWorld in 2015 just after I found myself a team of one. To be honest, I was terrified. I felt like I would never have enough time to learn everything I needed. I felt like the classes were way above my experience level, but I could see the potential. While I could tell that the folks at MadCap Software had designed Flare to work for people like me, with no HTML or CSS experience. I just couldn’t figure out exactly how to start. I just wanted someone to sit down with me and provide tips on how to get started. When I returned to MadWorld in 2017, I was much more confident. During the conference, I noticed others in the room who were where I had been in 2015. In every conversation I was having, I found myself saying “but Flare already does that, it is just a setting,” or “don’t worry, I was where you are once too and I had some great Flare friends who helped me”. I decided that I knew enough now to be a Flare friend to others and to offer that “here is where to start” class that I had wanted at the beginning. I also decided that there were probably people who have other responsibilities for their companies and can’t maybe dedicate large amounts of time to building a Flare project. That was the inspiration for getting a project off the ground in seven hours. If you had to go back in time, what advice would you share to yourself as a new user? Don’t try and bite off too much at the beginning and document everything! In my case, I had a working project and for the first few months, I treated it like Word. But when I started to experiment, I experimented big (did I mention my Master TOC disappeared?). Start small. You can’t really break Flare, but it can be time-consuming to fix if you don’t know the elements of your project. You need to set a firm foundation that you know well, and document all of your settings. Then you will be much more able to fix what you break. Is there any resources that you’d recommend for someone that’s starting out with Flare? I love the Getting Started Guide. I have a printed copy on my desk and I refer to it over and over again. I also would say take as many of the online webinars as you can. They are really great! Anything you’re looking forward to at MadWorld 2018? The MadCap community is amazing. I am looking forward to reconnecting with some old friends and hopefully making a whole bunch of new ones. If there is one thing a new user can do, it is to make a Flare friend and this is the perfect place to find that person. Flare will be like a relationship in itself and having a Flare friend to share your joys and give you advice or just listen to you has been the best part of MadWorld for me. Oh! And the technical help in the Hospitality Lounge is fabulous. I already have a list of questions! If you’d like to join Kearsty and the rest of the experts ready to share their expertise, there’s still time to register for MadWorld 2018. For more information about MadWorld 2018, including the schedule, speakers and pricing, visit our MadWorld conference page. See you in June in Coronado!